Mineralizator GH + LC Shrimp is a preparation designed for the mineralization of RO water for shrimps. The formulation is optimized for requirements of the caridina shrimps . It is in a liquid form, which makes it easier to dose it and to obtain exact water parameters. 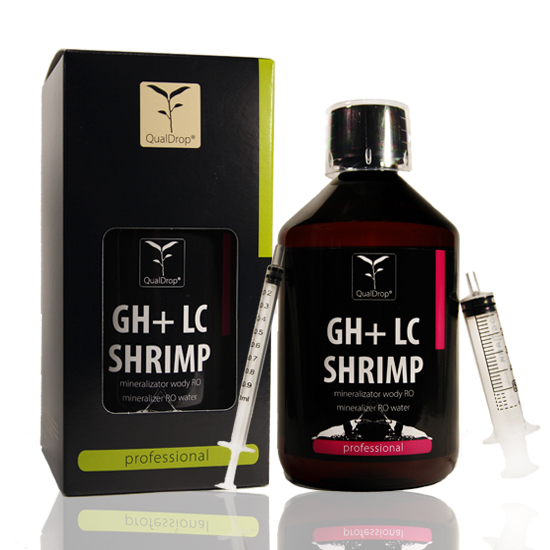 GH + LC Shrimp contains properly selected and balanced necessary minerals and other components that build general hardness of GH water, ensuring proper osmoregulation and giving lower final conductivity, hence the name LC ( lower conductivity ). GH + LC Shrimp does not change the KH carbonate hardness and the pH value of the water being prepared. Each package of the GH + LC mineralizer contains precise dosing system, which facilitates very accurate preparation of water with the desired GH value. The dosing system used is very flexible and enables precise dosing of GH + LC Shrimp both for large aquariums and small ones. You can accurately dispense e.g. 0.5 ml as well as 3 ml or 25 ml. 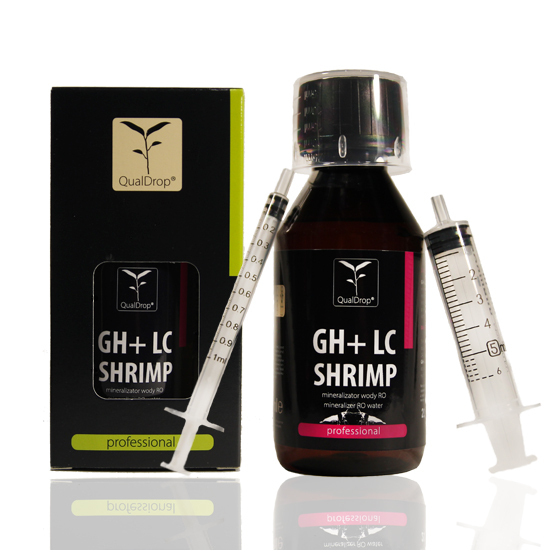 GH + LC Shrimp is available in 125 ml and 500 ml containers. 5 ml of GH + LC Shrimp added to 10 l of water increases GH total hardness by approx. 5 o GH ± 5% and conductivity of approx. 240 uS ± 5% net *. It is recommended to use the GH + ONE Shrimp mineralization with the TRACE ONE preparation, which supplies and replenishes the necessary micronutrients and trace elements to the prepared water. ATTENTION! Keep away from children. If you need to seek medical advice, show the container or label. Do not use for breeding plants and animals intended for consumption and food processing. The product is intended for aquariums with shrimps, fish and ornamental plants.